WestJet has dropped the price of their January and February 2017 flights from Calgary to London, UK down to $553 CAD roundtrip including taxes. Update 12/4 - These are back, although you need to book them in a different way. Click on the departure date box to open the calendar view and browse other date combinations. 3. Select your flights in Google Flights and then click on 'Book with WestJet'. You can book each direction separately to save $10, but it's not worth it. 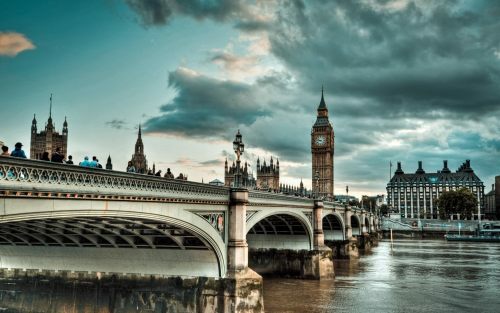 Update 12/16 - Non-stop flights from Calgary to London, UK can be booked today (December 6th) for $513 to $539 CAD roundtrip including taxes, thanks to a WestJet promo code. HH7OIGI -- expires Dec 7 @ 9:59 PM MST, but will only work for travel on dates between Jan 9 and Feb 8.
calgary, yyc, flight deals, westjet, europe, western europe, london, lgw, england, united kingdom and uk. One Response to "Calgary to London, UK - $513 to $553 CAD roundtrip including taxes | non-stop flights"
Booked on WestJet about 3 hours ago and got it for the $553 direct both ways. Great price.